Photo Selection: When choosing a photograph for the tilt-shift effect, bear in mind that you want to give the impression of a miniature model. Miniature models are usually viewed from above so try and choose a photo with an elevated viewpoint. the keyboard, or select the Gradient Tool icon. 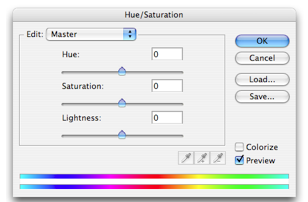 Be sure to choose the Reflected Gradient option (the fourth icon along before the Mode drop-down). Draw a line w/ gradient tool: Draw a vertical line; the start point will be the centre of the in-focus area, and the end will be where the transition from in-focus to out-of-focus is completed. This step, and the subsequent two steps, will need a fair degree of trial and error. View Mask Area: Before progressing, review the position of the red mask. The middle of the mask is where the in-focus area will be, gradually losing focus towards the edges. Note the out-of-focus effect is yet to be applied. Review Effect and Tweak Settings: Hopefully, you will now see a pleasing focus effect. 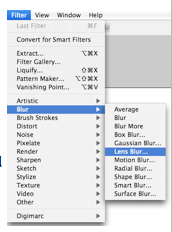 The Photoshop default settings for Lens Blur seem to work well, but experiment with them to improve the effect. If you are unhappy with the position of the focus area, go back to Step 4 and try drawing a line in a different place or with a different centre of focus.